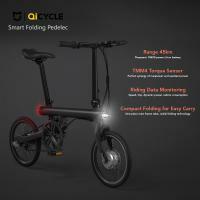 ﻿This electric bike is constructed from aluminum alloy, strong enough to support a maximum user weight of 100kg. With 250W brushless motor, the bike is capable of a top speed of 20km/h and maximum range up to 45km. It is collapsible and very convenient to carry. Oder sollen wir Ihnen eine E-Mail schicken, sobald neue Elektrofahrrad Angebote aus Köln (+40 km Umkreis) inseriert werden?